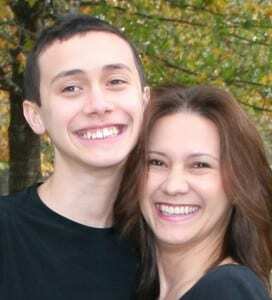 In 1998 without warning, Dr. Melisa’s son Brandon was diagnosed with Autism. This was before Autism was cool (before Autism was discussed). Shocked and confused, just as any parent would be, she turned to her son’s doctors for answers. But, answers and treatments were few and far between. For many years after her son’s initial diagnosis, she and other parents had to learn by trial and error. “There was either too much information, not enough information, or inaccurate information. There were very few caring professionals out there that would or could guide us.” For years Dr. Melisa sought out parents of like minds and goals; even traveling to different cities and states to obtain treatment and seek ways to help Brandon. After several years of compiling research and seeking alternative and integrative therapies and treatments for her son she knew something needed to change for families and individuals. They needed somewhere to go for recommendations and guidance laced in love and respect. A place that guided one through integrated care that looked at the whole picture, the whole YOU; no matter if you are dealing with typical symptoms or wanting a maintenance plan for a healthier you or if dealing with chronic or acute conditions. A place where you felt like family. Where they would hold your hand and walk with you. A place where they understood what it was like to walk in their shoes, We are you. The seed to Hilton’s Heartland Natural Health and Wellness Center was planted. Hilton’s Heartland has naturally grown to support anyone who strives for better health and well-being, as well as those wanting to enhance athletic performance. Of course, HHWC continues to specialize in acute and chronic illnesses and individuals with special needs. Our mission is to EMPOWER! We want to empower you with knowledge and provide the tools and resources necessary to enhance your own health and wellness. Our vision at Hilton’s Heartland is to be a haven for individuals wanting more. More for themselves. More for their family and loved ones. More than pure existence. Our vision is to help you feel better, look better, and to be better.